"These are an Italian cookie with the traditional ricotta cheese filling. 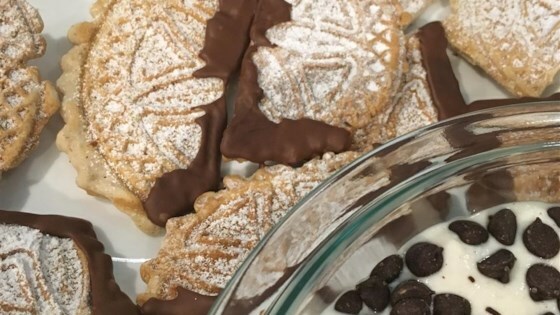 You will need a pizzelle iron and cooking cylinders to form the cookies." this receipe really flopped! the shells came out nie, if you have tough fingertips but the filling was way too liquidy. an overall disappointment! Didn't wait to buy the extra equipment. We ate the filling and remembered the great taste of the special Christmas Canolli we had as kids.